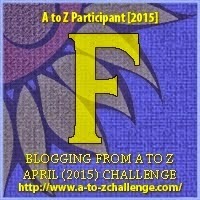 For letter F, I didnt have to think twice before choosing to feature my favourite toads, the Fighter Toads. 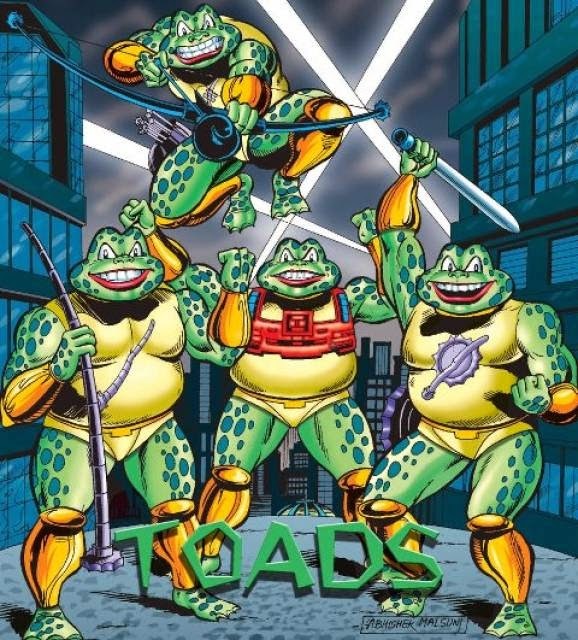 Published by Raj Comics, these four toads are funny, companionable and great fighters who fight against evil and always save the day! 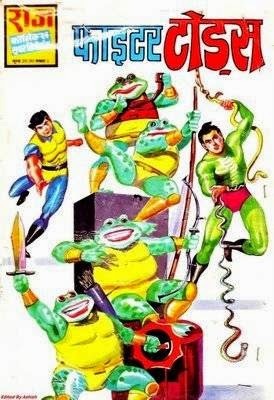 Fighter Toads are fictional toads features in Raj Comics. 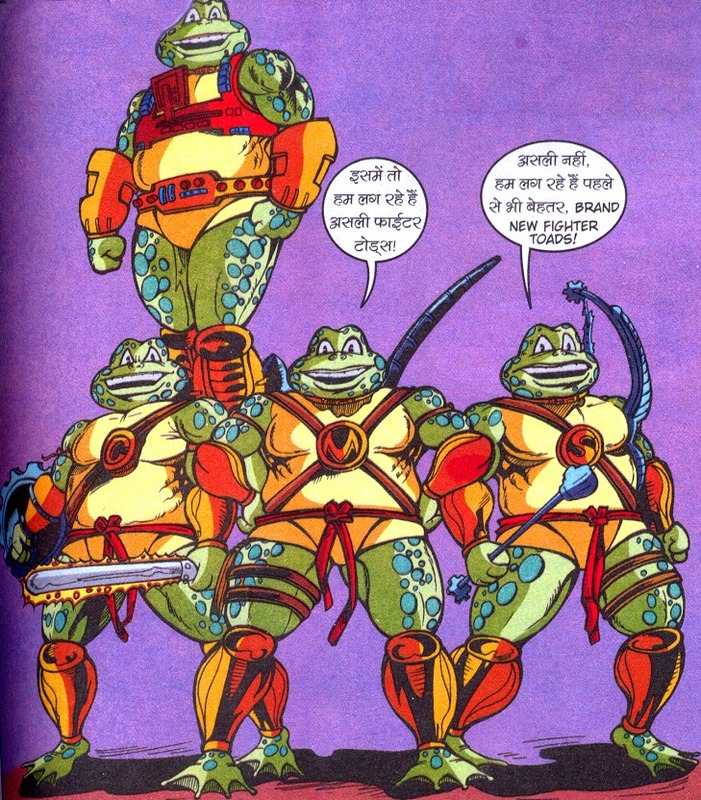 Their individual names are Computerr, Masterr, Cuterr and Shooterr ("terr" is the sound that toads make in Hindi comics). These were created by "Dhananjaya", one of the friends of Super Commando Dhruva, another Raj Comics character. Inspired by the Teenage Mutant Ninja Turtles, these characters became popular in their very first year. These comic books were produced in an oversized format at first, but have been reduced to normal size. Generally Anupam Sinha draws and writes Fighter Toads' comic books but in between for some time cartoonist Dilip Chaubey also had taken the seat. The above was the first Fighter Toads comics which also featured two very famous comics characters, Nagraj and Super Commando Dhruv. The above picture shows the new avatar of the Fighter Toads with crisper dresses and symbols pinned on their chest to help readers differentiate them. 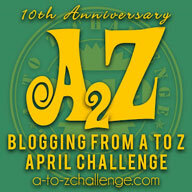 Come back tomorrow to checkout my favourite Indian cartoon/comics character whose name starts with G!